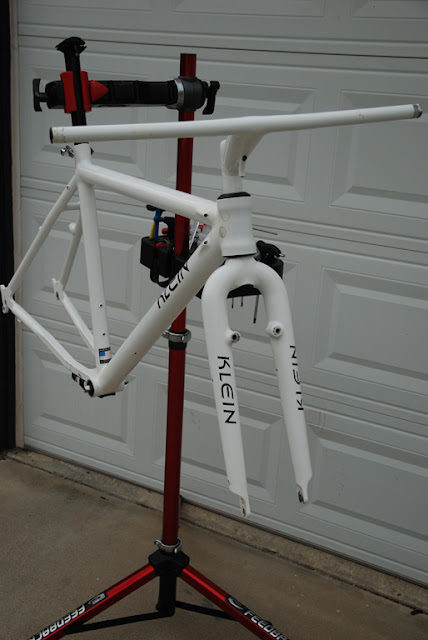 Decided to try it out one more time with all (nearly all) 3DV before converting to all black parts. 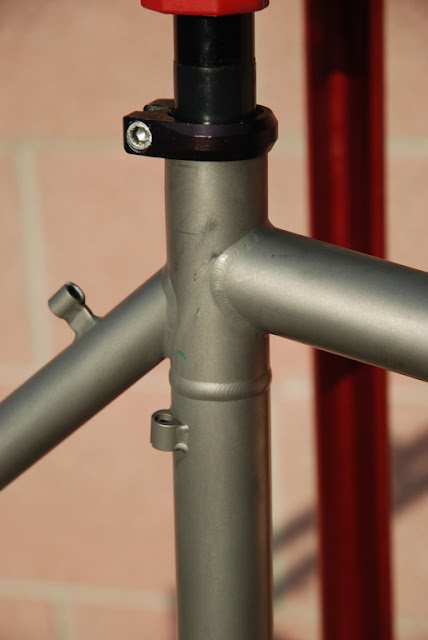 Threw on a spare set of Grafton cranks but decided to stick with the team cut A-TAC in lieu of a 3DV Ringle stem. Looks good and ready for the Mammoth Kamikaze! 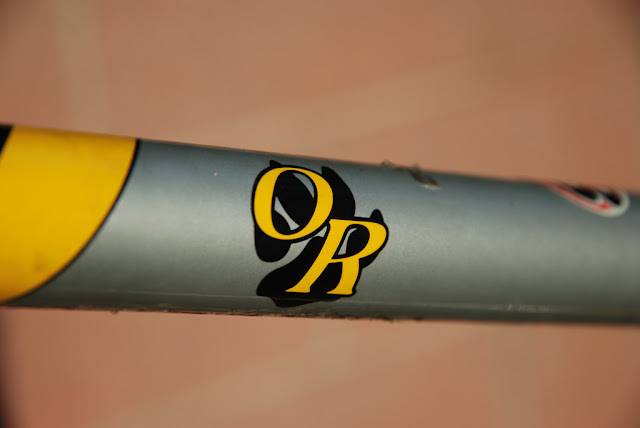 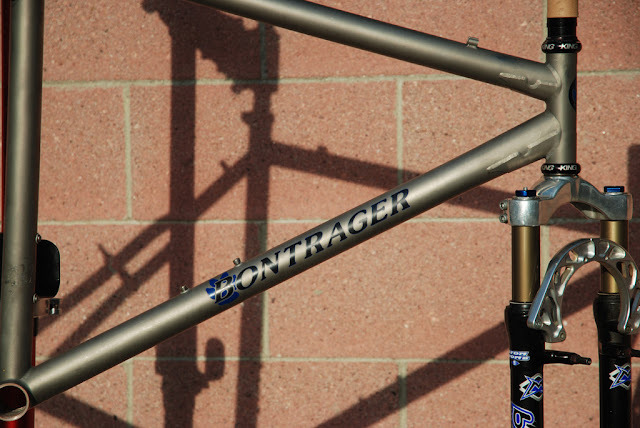 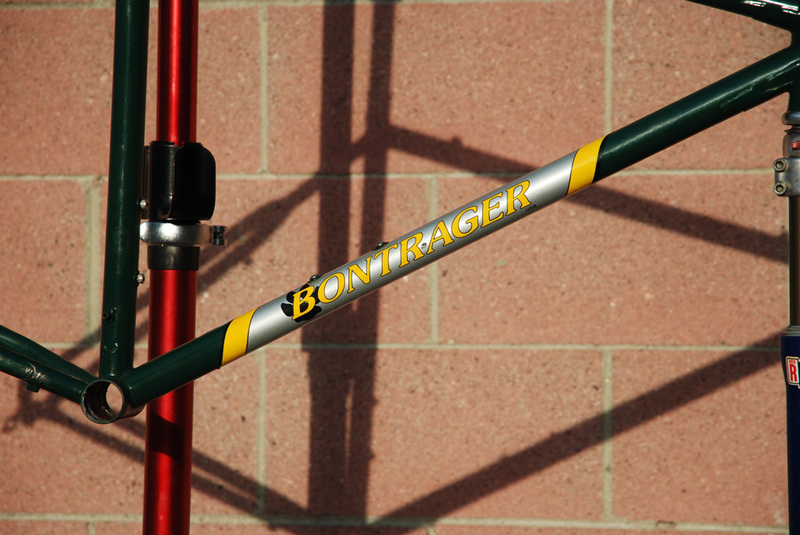 Getting ready to do a couple more Bontrager builds including a 97 Ti Lite and 93/94 Race Lite. 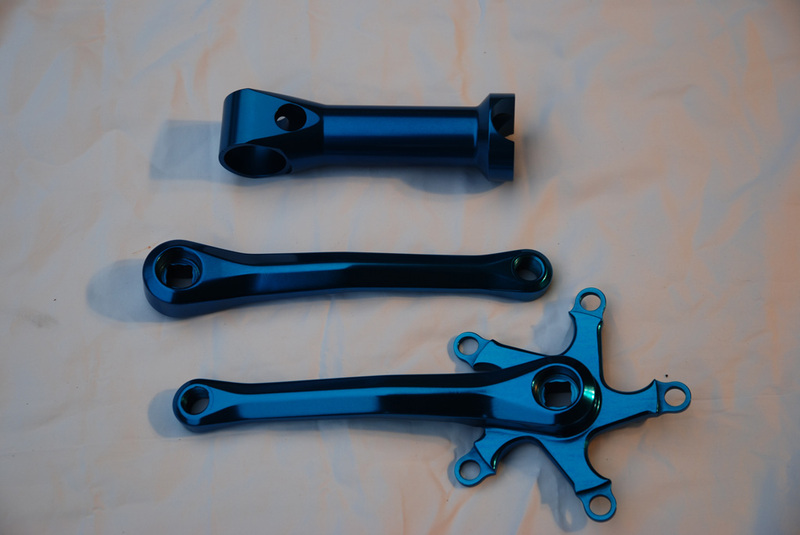 Still working on sourcing parts to complete the builds, but leaning towards a M950 spec for the Ti Lite and a M900 or M737 for the Race Lite. 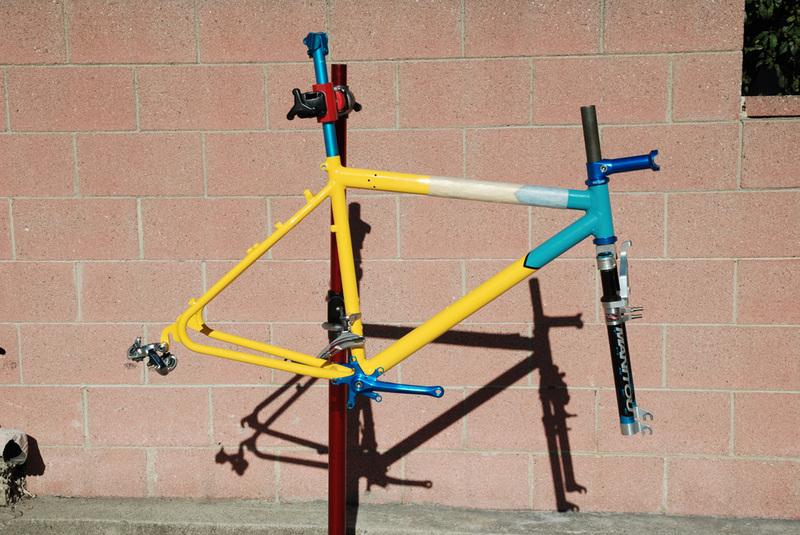 Should be quite the pair! 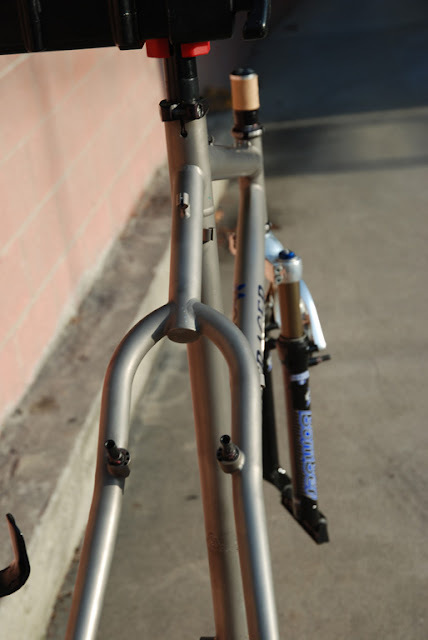 I've never really built/owned any Titanium bikes so now with this Bonty and my new WTB equipped 89 Merlin are shaping up to be a lot of fun! 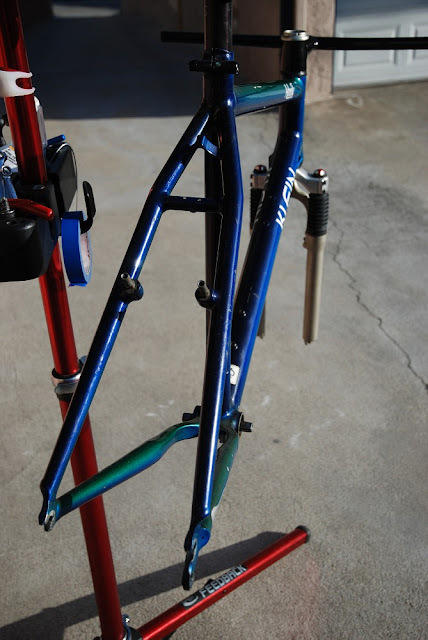 I've done a few Race Lites, so hopefully I can keep it fresh for this one! 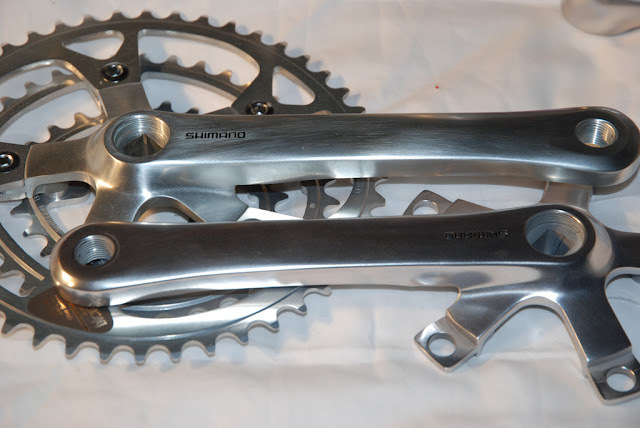 I restored several pairs of old school Shimano XT M730 cranks and am very happy with the results. 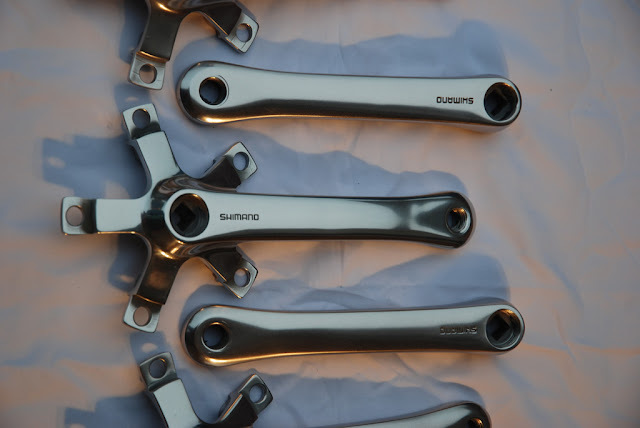 These cranks are easier to refinish than the M900 XTR cranks as there are fewer steps involved. 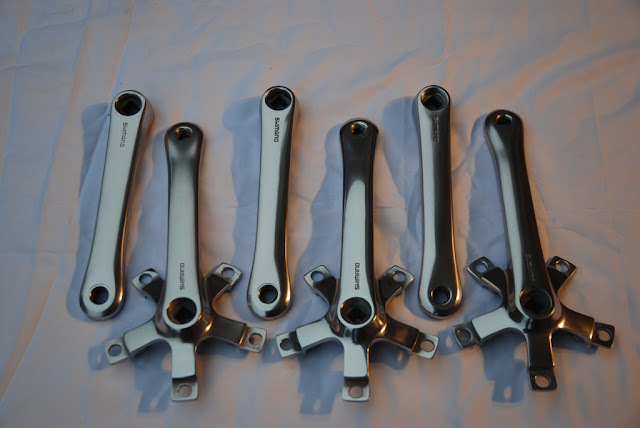 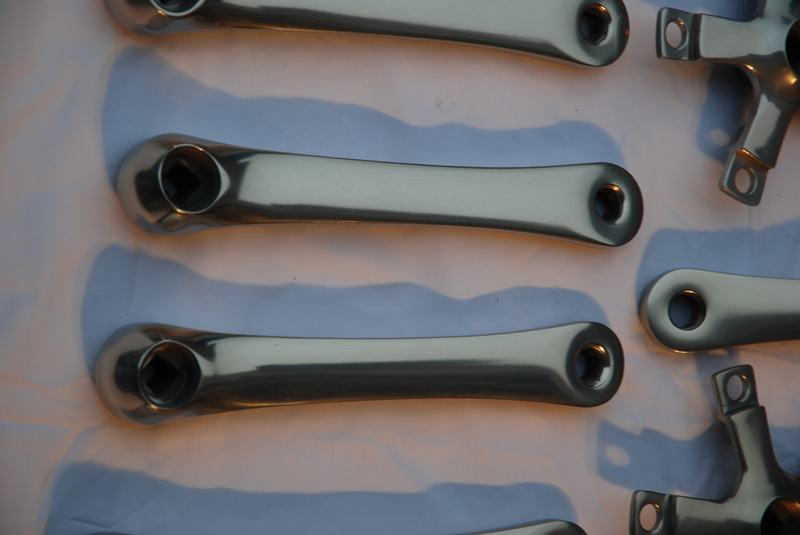 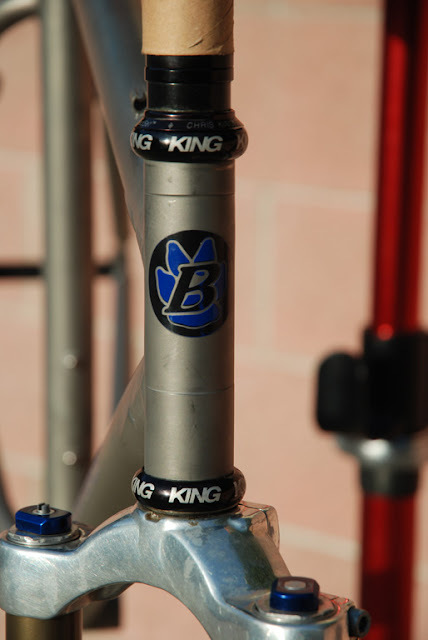 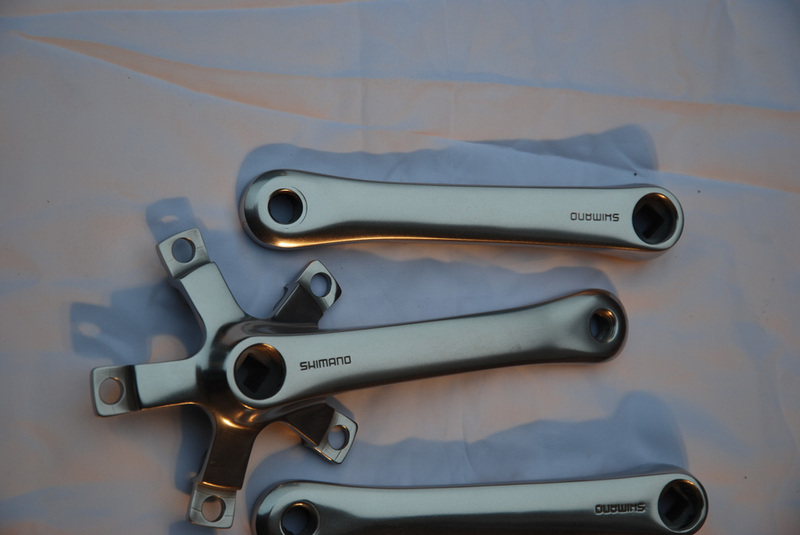 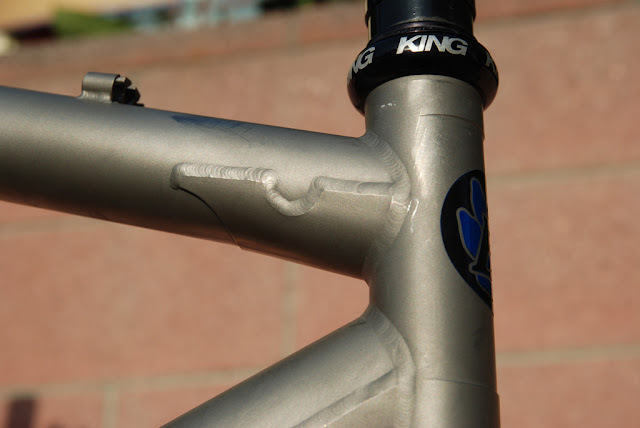 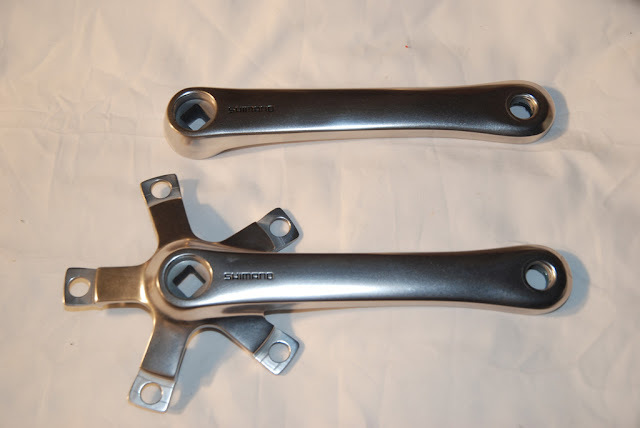 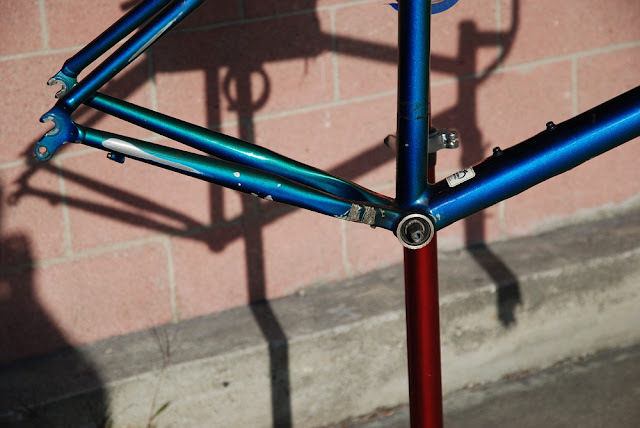 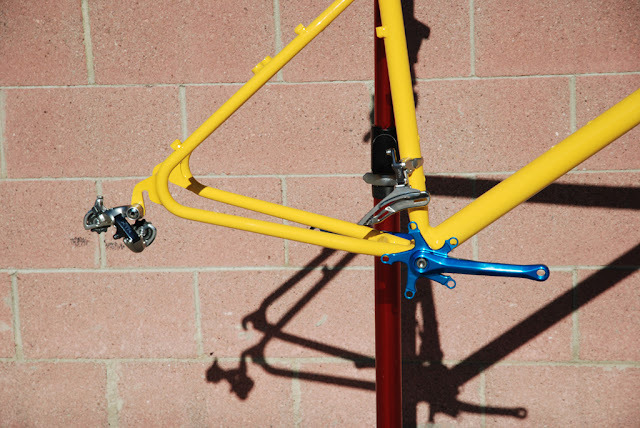 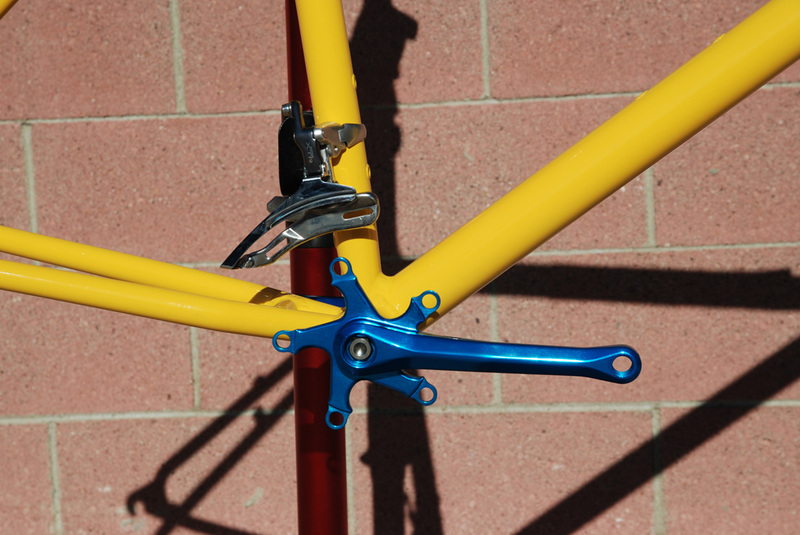 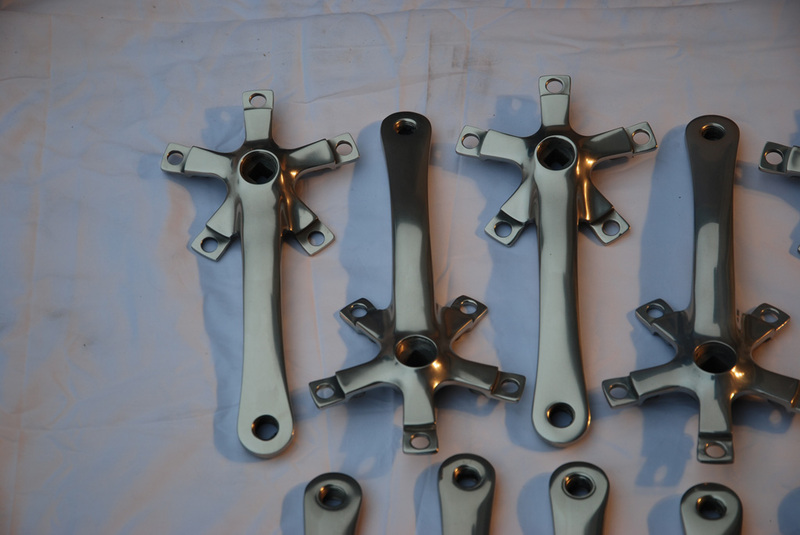 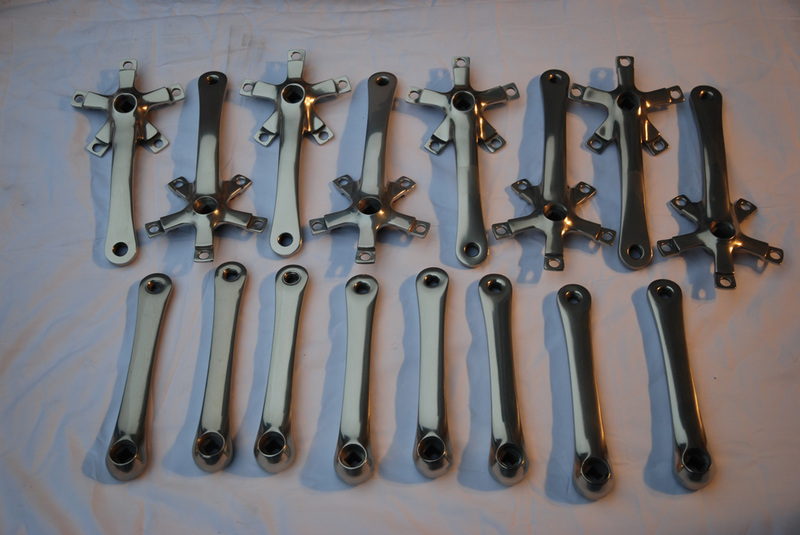 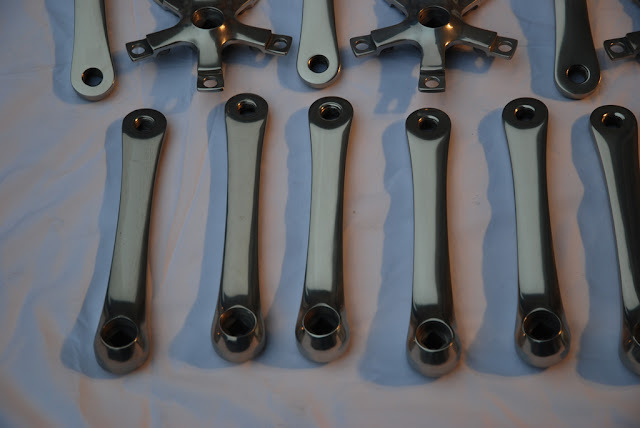 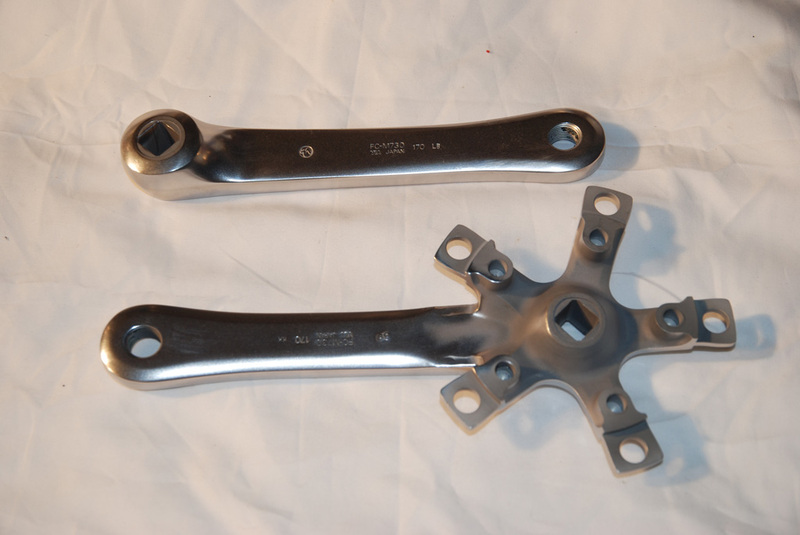 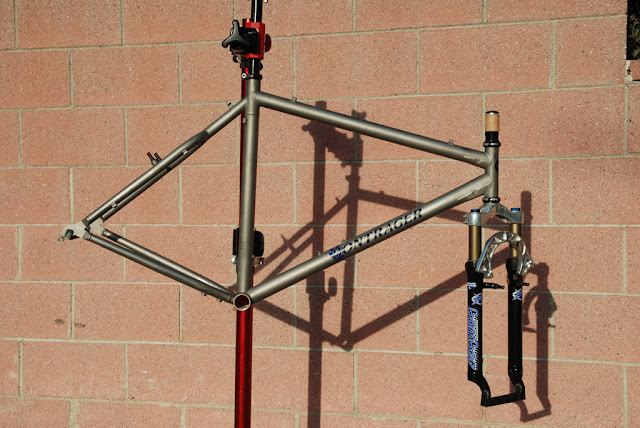 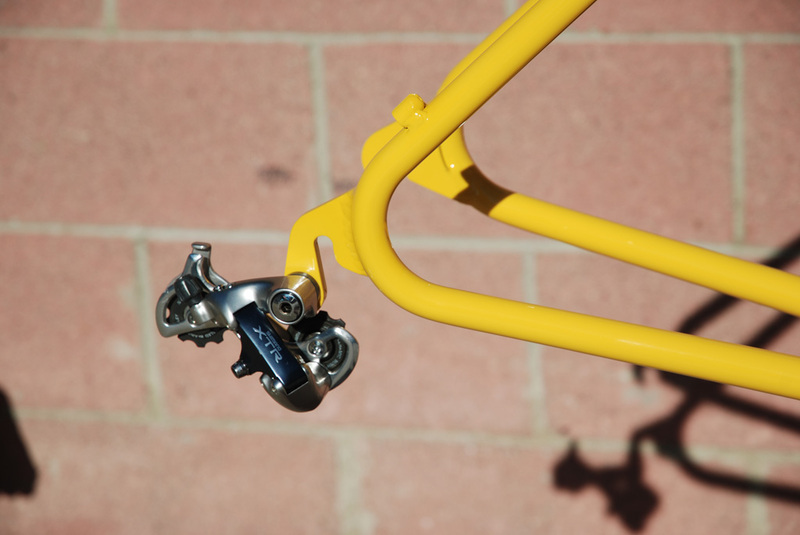 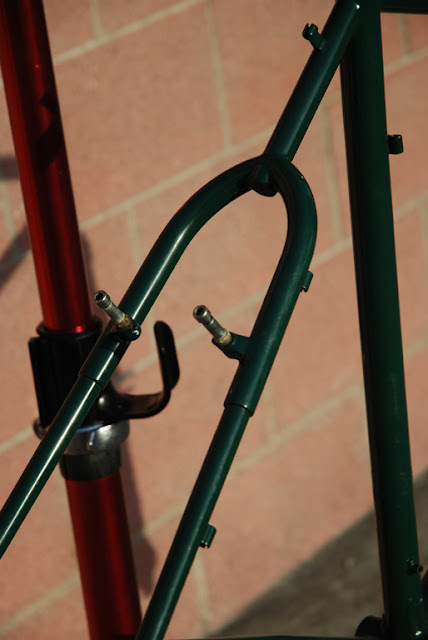 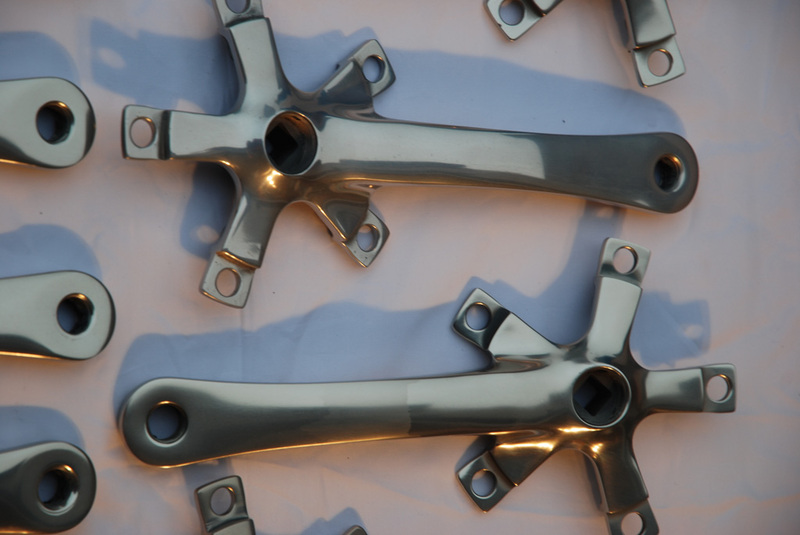 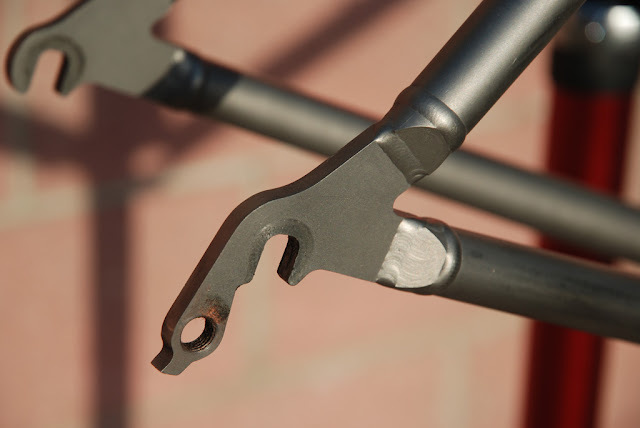 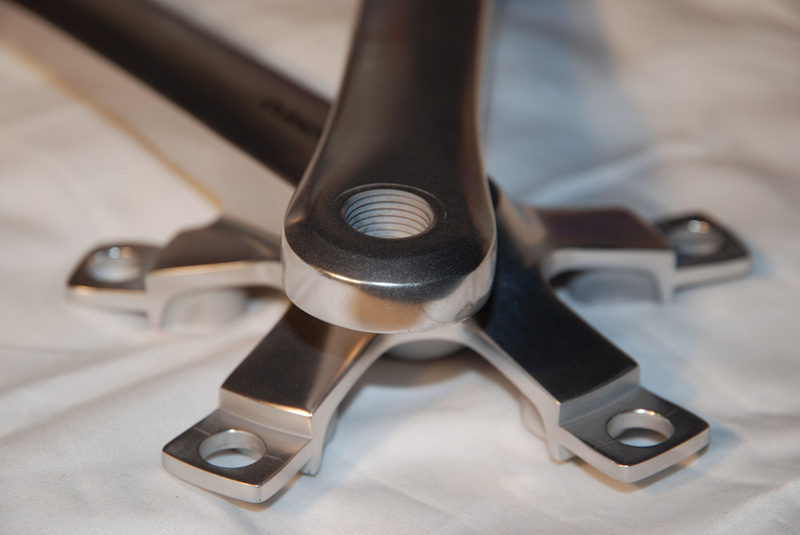 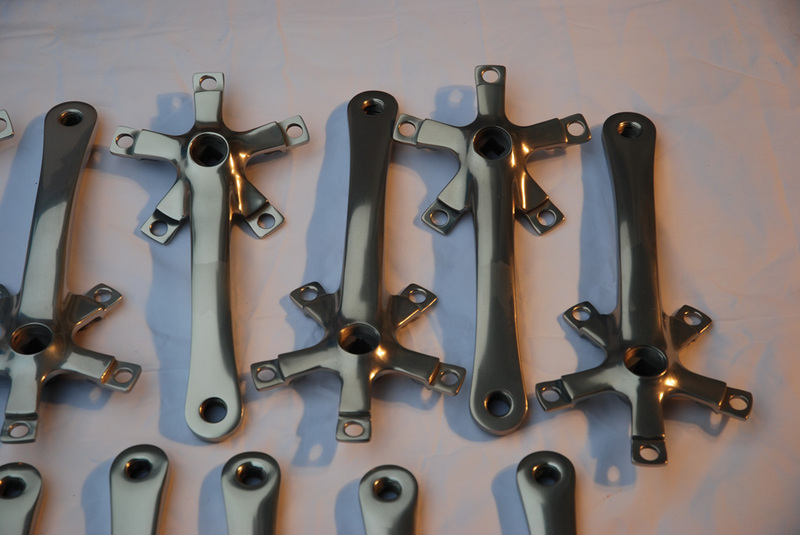 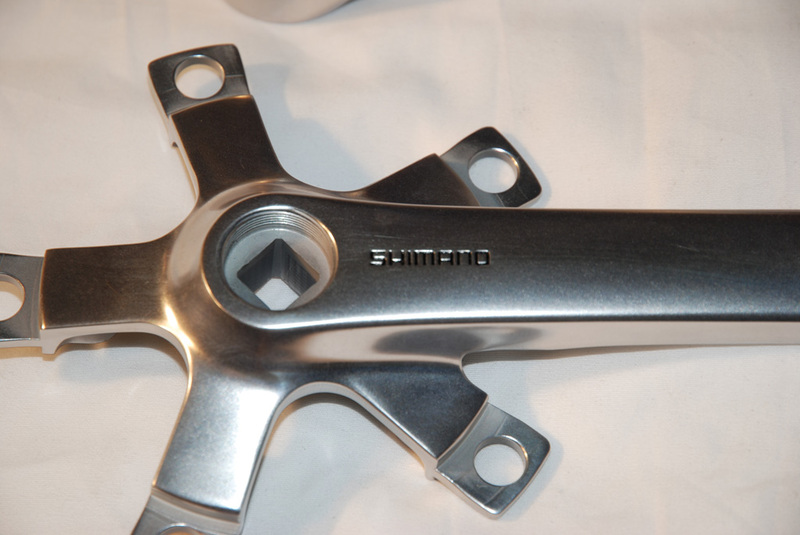 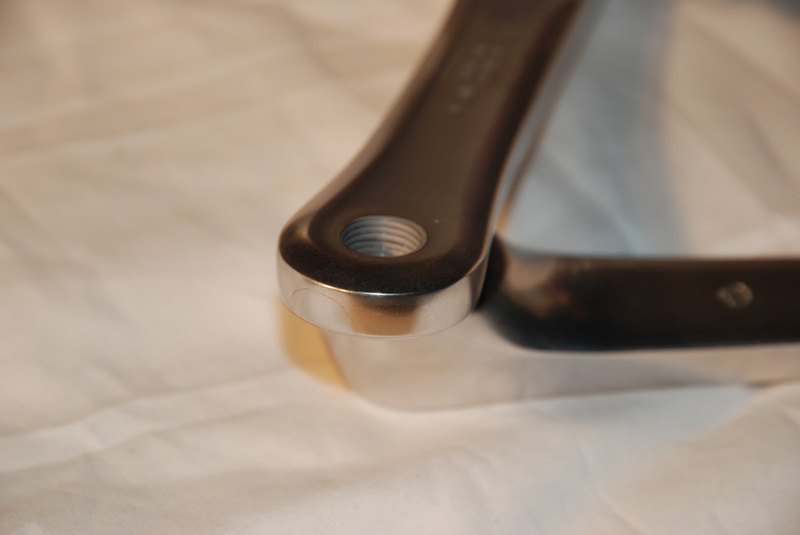 Cranks are only polished and then clear anodized and do not require any other finishing steps beyond that. At this point I have several pairs available in 170, 175 and 180mm long. Unfortunately I have very few sets of chainrings for these older cranks on hand. Feel free to contact me if you are interested in a pair. Side by side comparison with NOS M730 cranks. 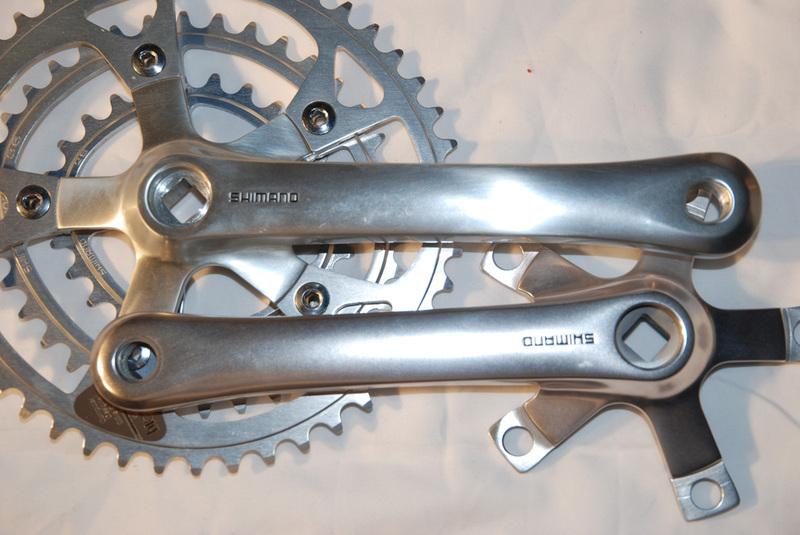 The NOS cranks show a bit more grain of the metal than the refinished cranks, but otherwise it's virtually indistinguishable. Adepts are not very commonly talked about around the ole Klein campfire, which is too bad. 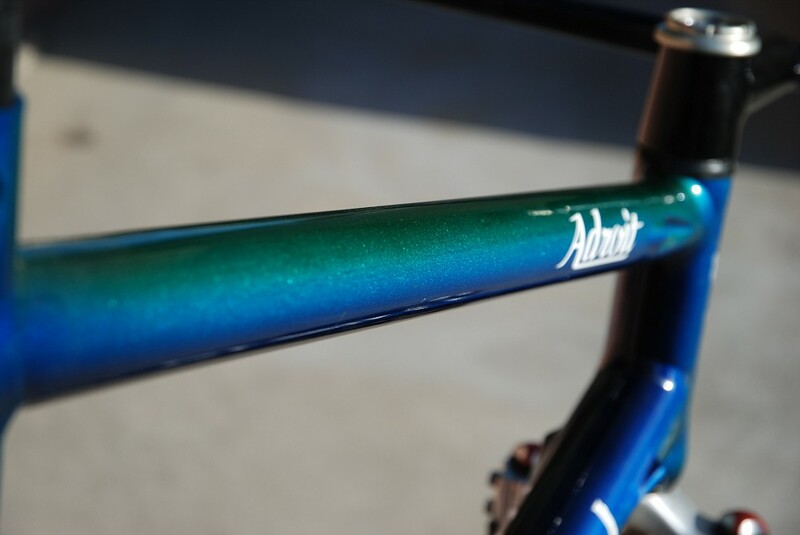 They are never as bright or flashy, they always have slicks (unlike most Kleins ;) ) and frankly there just aren't many of them around. 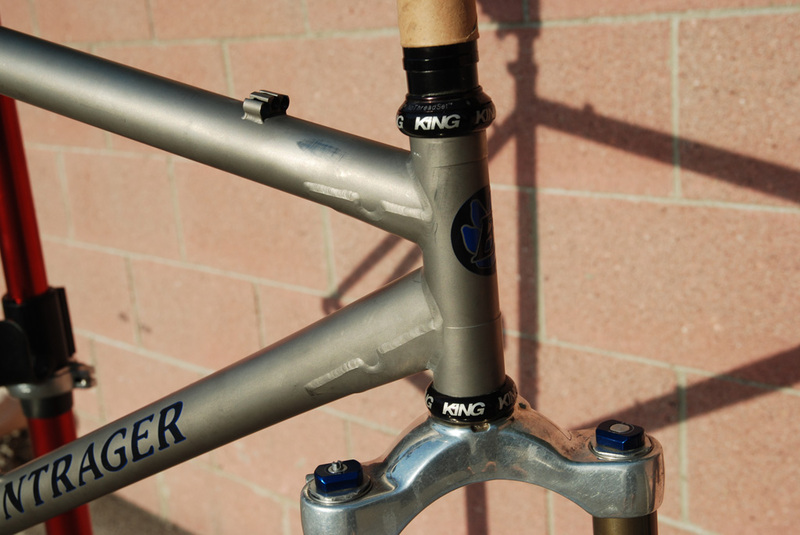 I've had a few in the past, most XSs and so this 21" is kind of a treat. 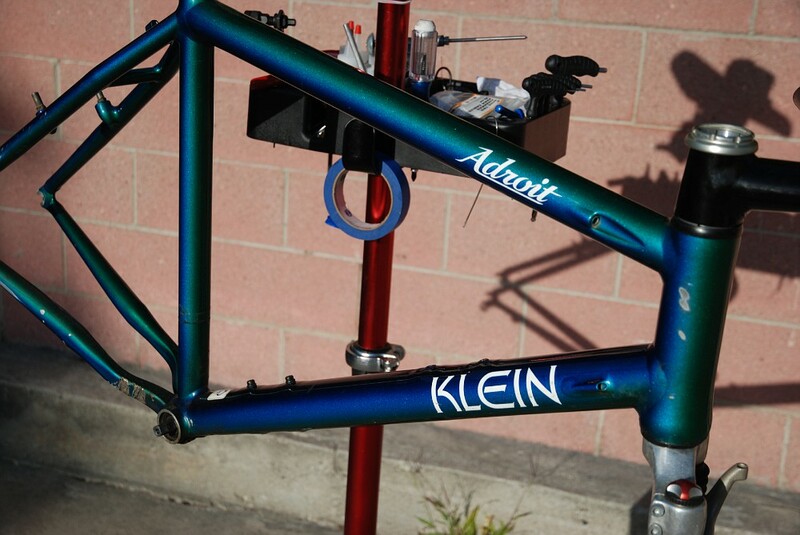 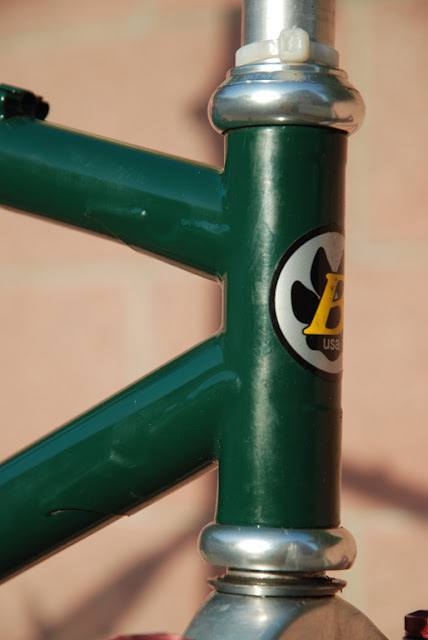 It's an odd duck as well since the Adept logo is missing and yet this is a factory painted bike, who knows. If you can add a "Sheila" why not delete an Adept. 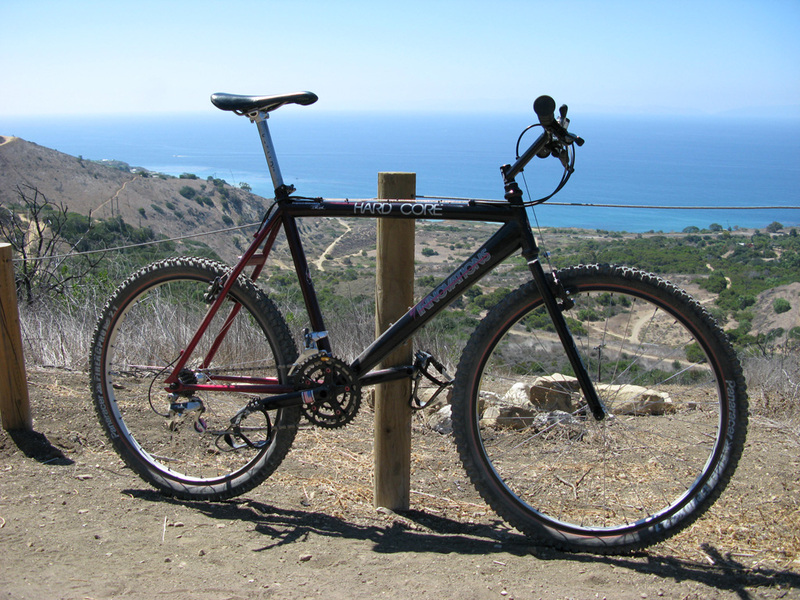 I managed to squeeze in a ride this morning and then still had enough juice to get started on the 94 Yeti ARC. This build will be very similar to the 1995 Yeti ARC I just finished, with a few differences. 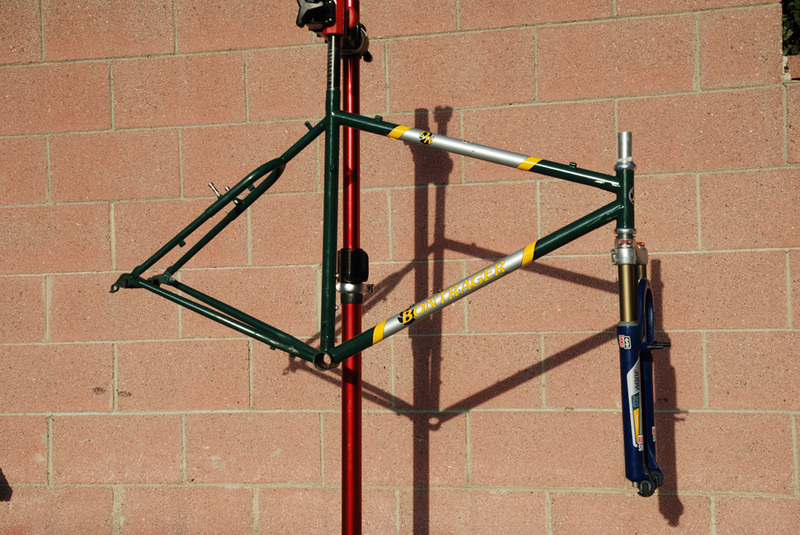 Here are a few pics of todays progress. 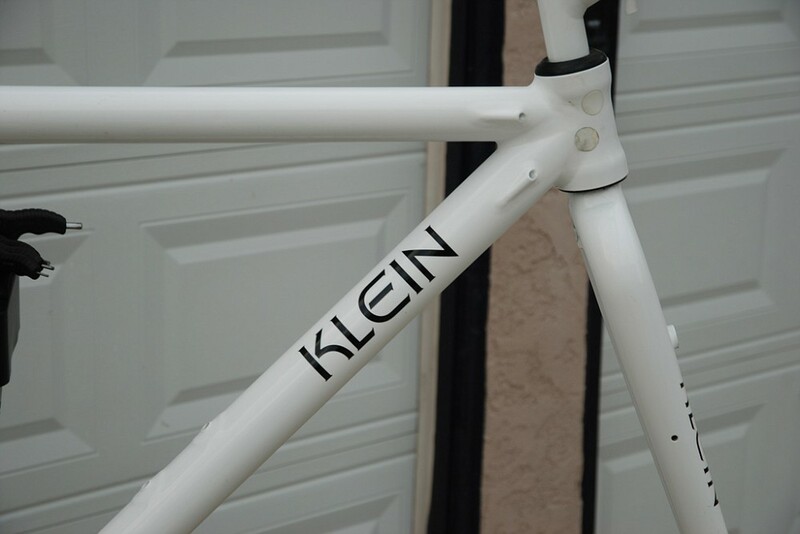 Still waiting on decals and a few odds and ends. 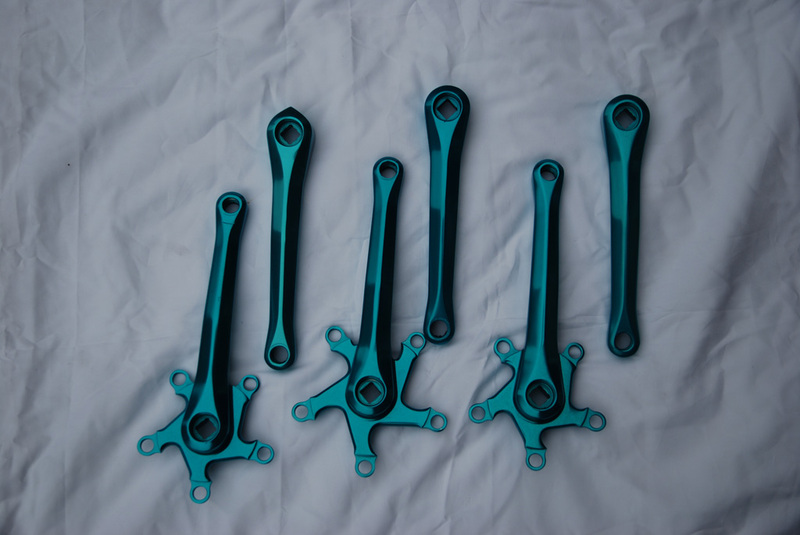 Just got some Grafton cranks back from anodizing and I have to say I'm very impressed with the results. 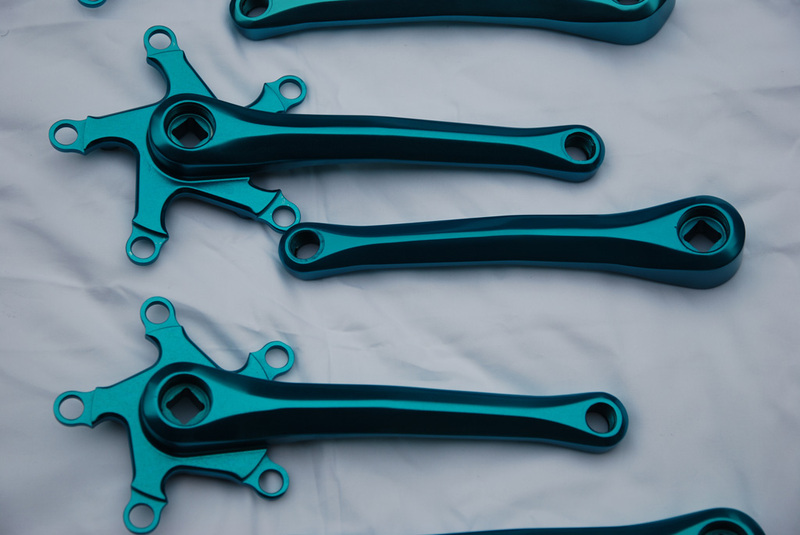 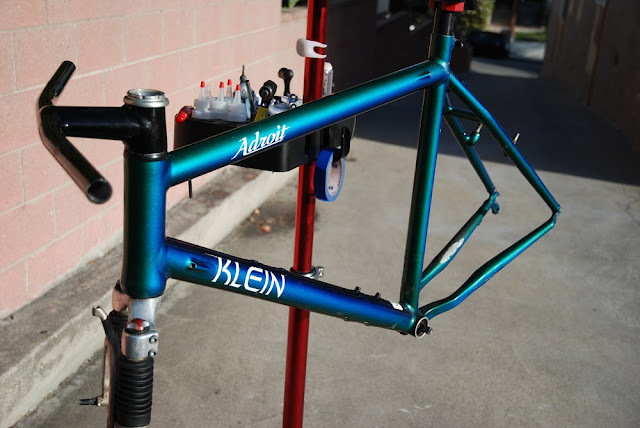 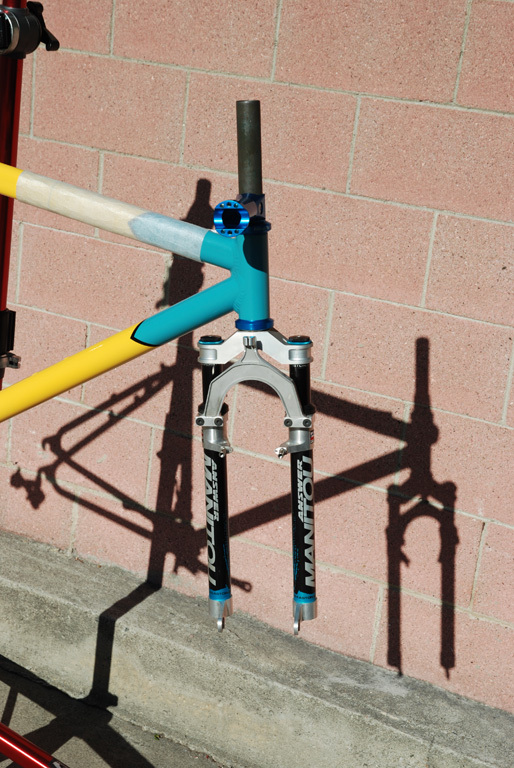 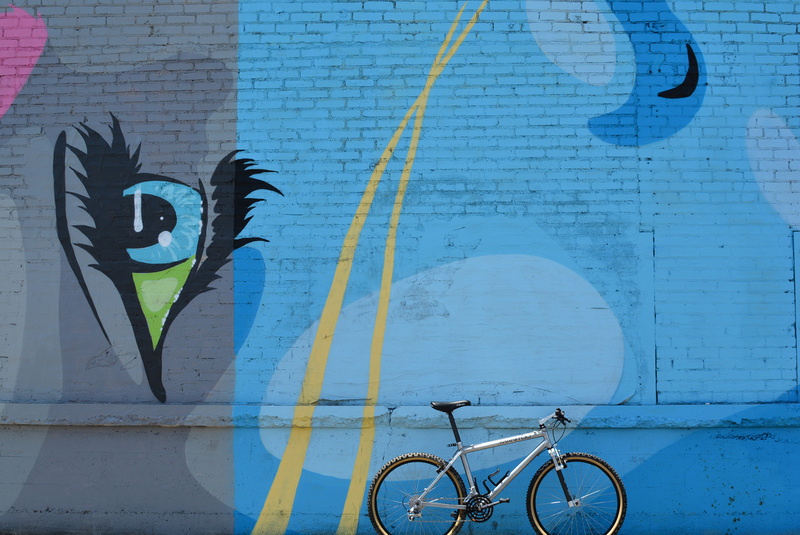 There are two distinct turquoise colors so you'll see a lighter and a darker shade of turquoise for several different bikes. Sorry about the dark pics it was getting late. 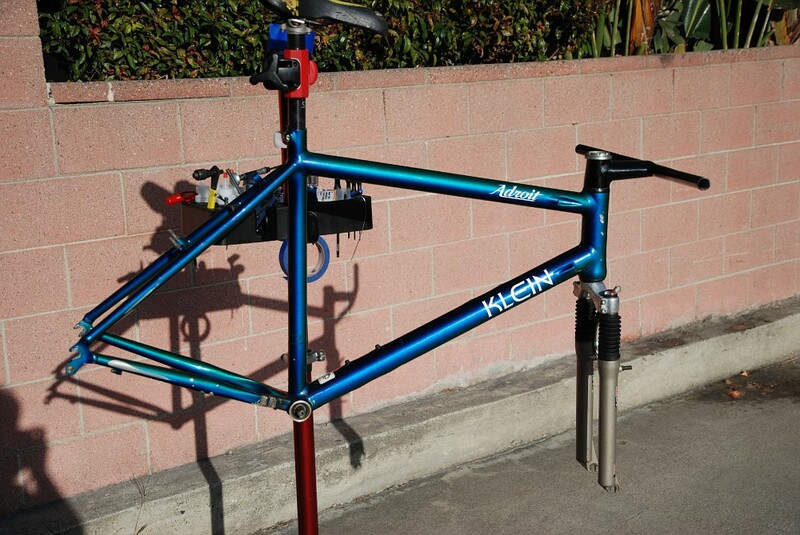 Another battered and bruised Klein. 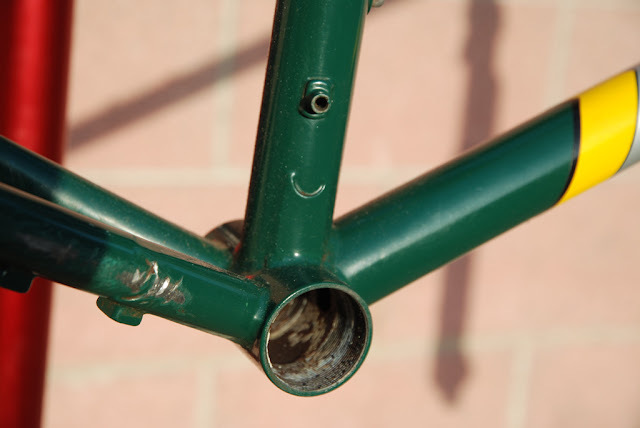 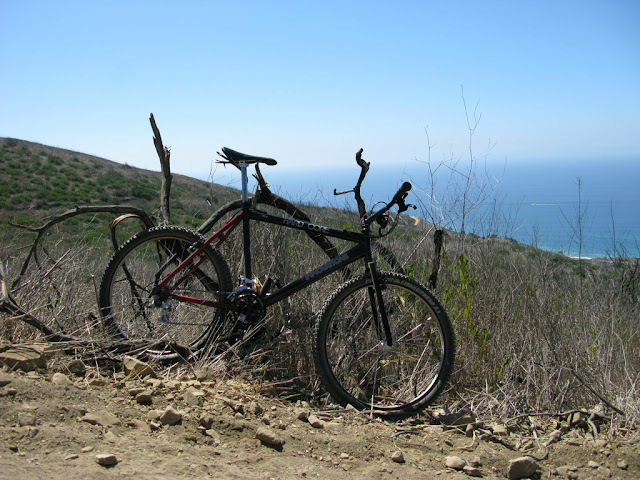 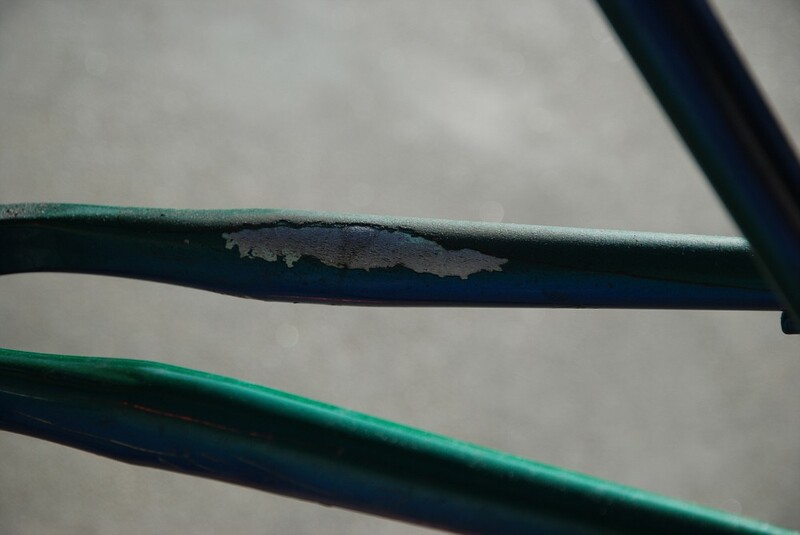 It seems the big boys exert a lot more wear and tear on their bikes than some of the lil fellers. Anyways, aside from some paint damage this frame in excellent condition. 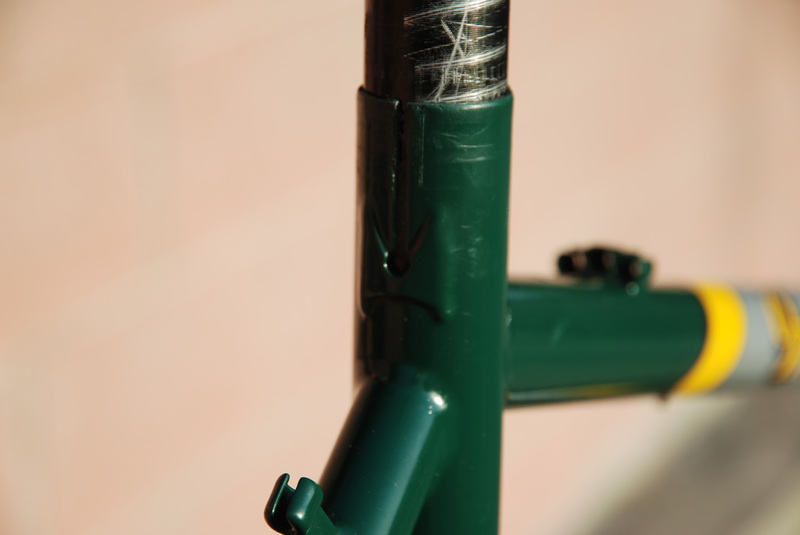 Sadly the steerer on the MC2 has been cut, so a small extension will be required to attach the MC2. This is a true MC2 Adroit, not one of the rebadged Attitudes. 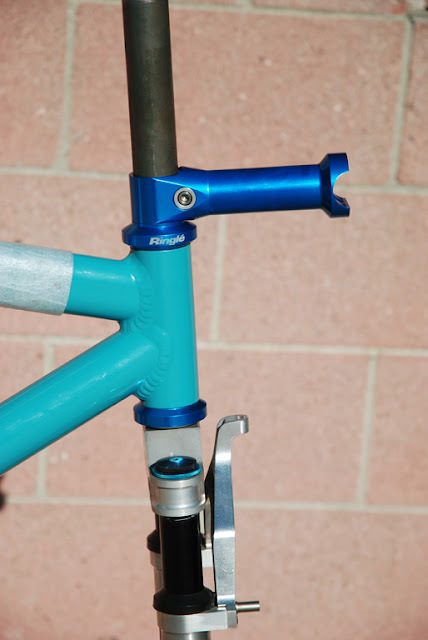 It has the oversize 2" downtube with external cable inlets but sadly no Strata fork for this one, the Judy fork will have to suffice. 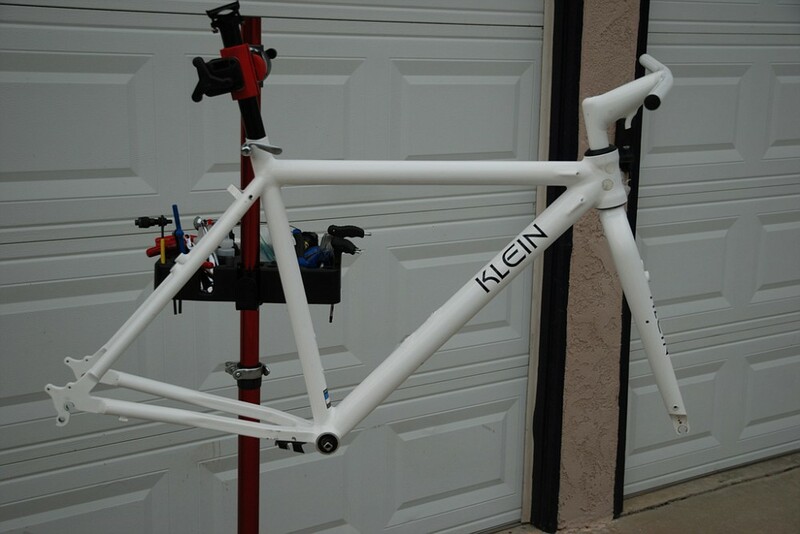 The bike is slated to get a full respray in pearl white later on this fall. 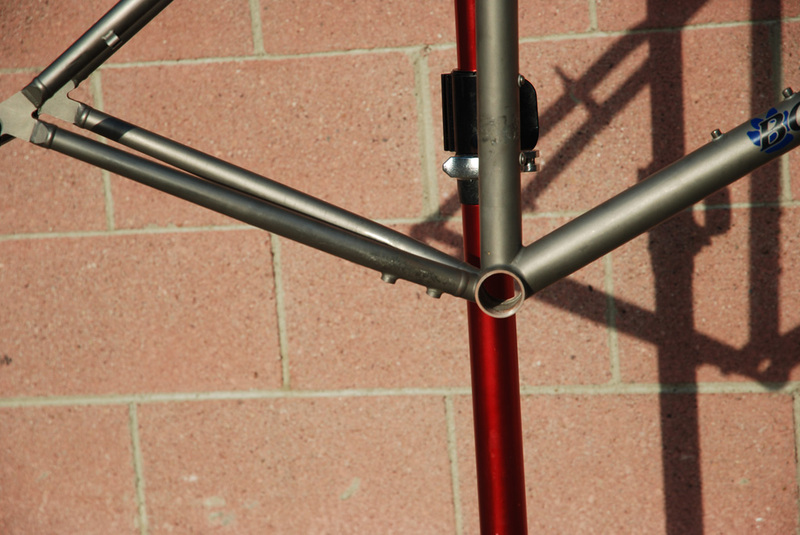 I'm trying to decide between black and red debossing. 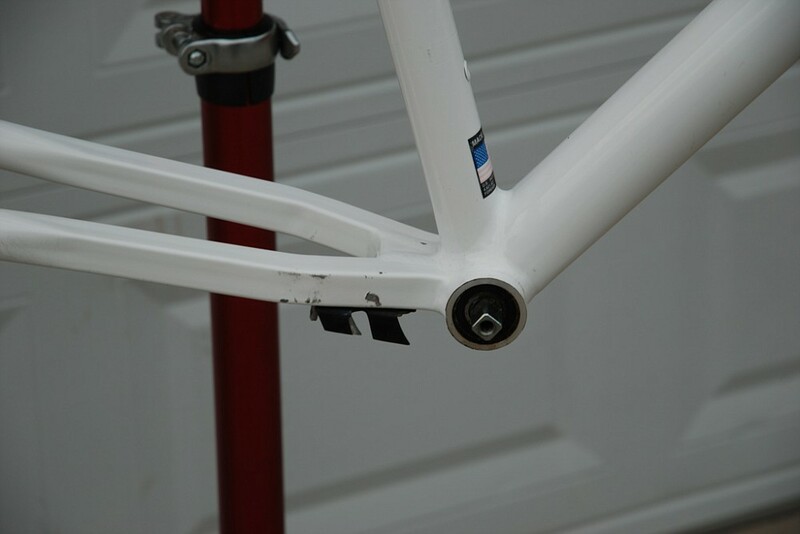 Black seems like it would be a slam dunk, but there is a certain amount of flair and subtlety associated with red against the white pearl, we'll see.